On this season of Knitting Daily TV, you'll learn the rules of knitting and crochet–and when to break those rules! 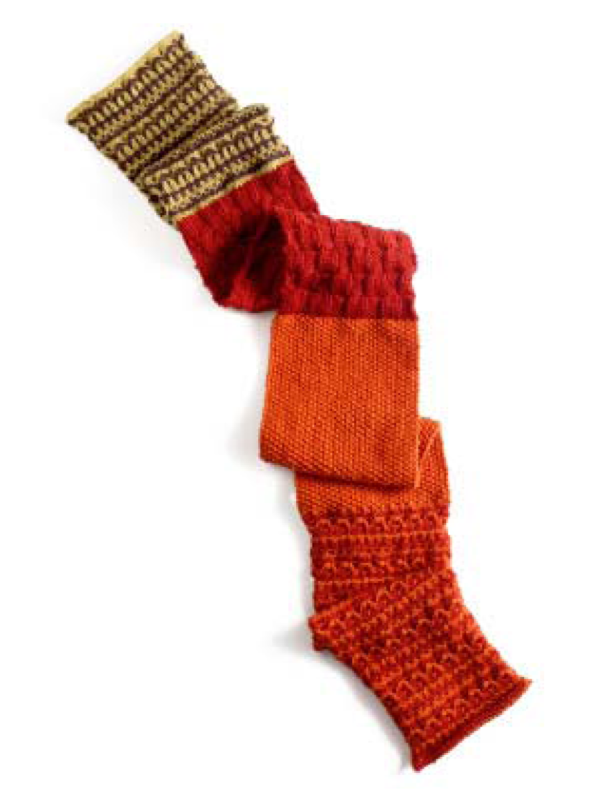 First, Eunny Jang shows you how to start knitting on the right foot, solving the most common knitting mistakes before they happen. Download Eunny's techniques shown on this eipsode, as well as more tips and techniques from this season of Knitting Daily TV. 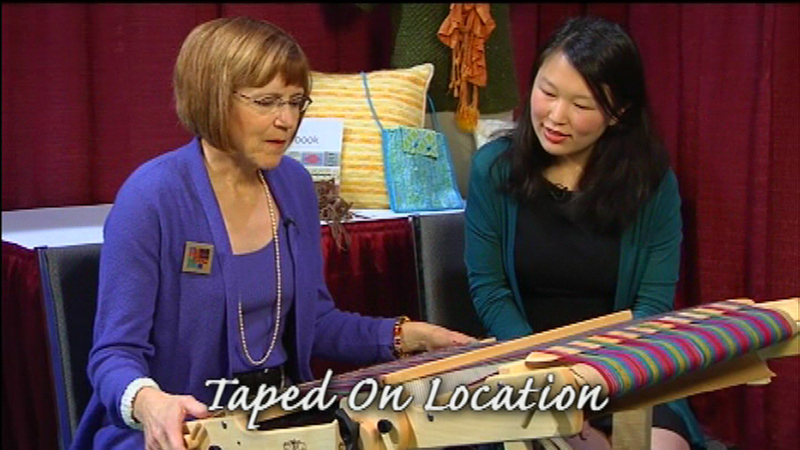 Go on location with author and weaver extraordinaire Jane Patrick to learn some easy ways to make patterns and textures with a pick-up stick on the rigid heddle loom. Practice your skills with a woven scarf pattern from Jane's book The Weaver's Idea Book (Interweave, 2010). 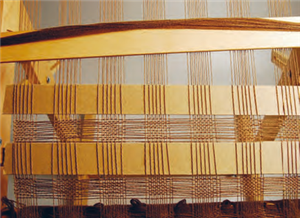 Download the weaving pattern for the Felted Scarf in Beige. Join crochet expert Kristin Omdahl for Crochet Corner as she builds on the many crochet basics she has shown in the past with more crochet techniques. She begins this season of Crochet Corner with a lesson on reading crochet charts and symbols, a universal language for all crocheters. 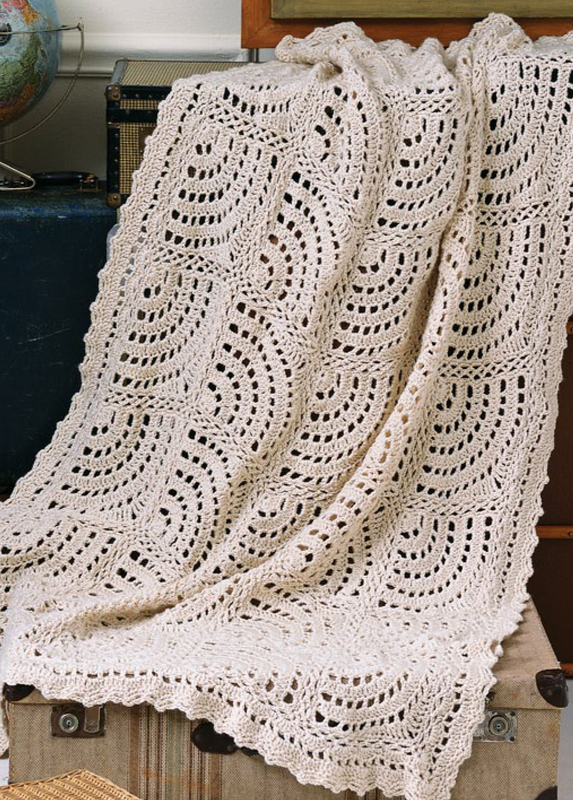 Download your free crochet pattern for the Swirling Fans Thrown, featured on this segment. Sponsored by Coats and Clark and Red Heart Yarns. In this episode, Kristin is wearing a crocheted tank top from her book Crochet So Fine (Interweave, 2010). Knitwear designer and author Vicki Square joins Shay Pendray to discuss her vibrant work and demonstrate the South American join technique. Visit shop.knittingdaily.com to shop Vicki Square's books, including the popular Knitter's Companion. Eunny and knitter Zontee Hou begin the first-ever knit-along, the Fallen Leaves Scarf. This colorful scarf features basketweave, seed stitch, and simple colorwork. Follow along with Eunny and Zontee in upcoming episodes as they walk you through the knitting of this scarf with step-by-step instructions. Download the pattern for the Fallen Leaves Scarf to get started. Sponsored by Lion Brand Yarn.